Hi blog friends! I realized this week that I had posted some news in just about every social media outlet but this one. 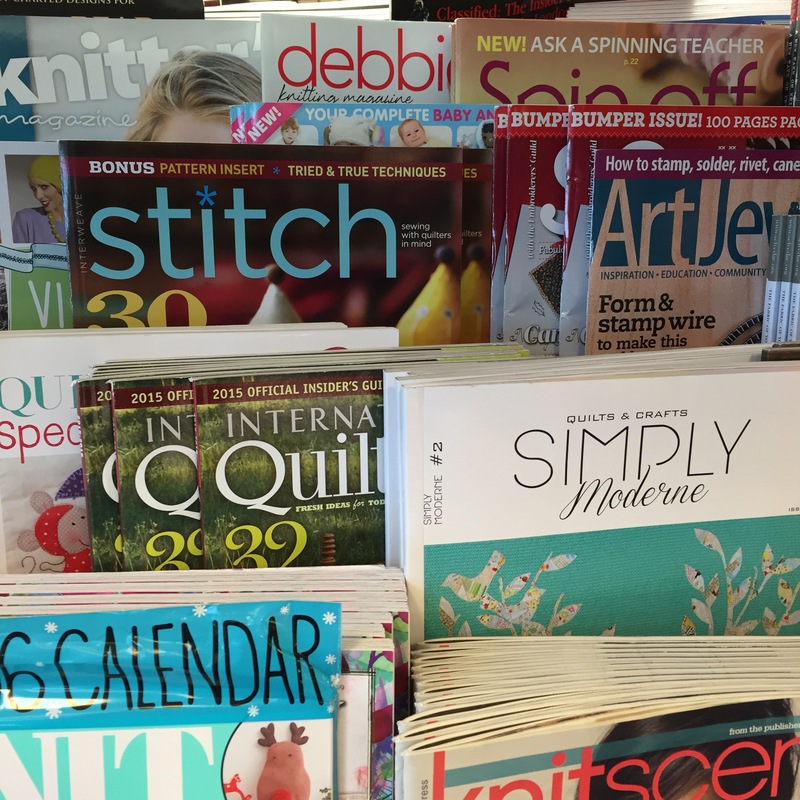 I’ve written for magazines before in my previous career as a marketing trade journalist, but this is the first time that something I wrote or made can be purchased in stores. I took this picture at the Barnes and Noble in my town. It was such a thrill. Depending on your screen size, you might be able to see that one block in each row has a print on it (two Denyse Schmidt blenders and one from Anna Maria Horner’s True Colors collection). The rest is my continued fabric obsession, Cirrus Solids from Cloud 9. The colors are so deep and so so soft. I really loved playing with some of my favorite colors and seeing how well they played with one another. This experience gave me a lot of insight into the pitching and publishing process. I do really love the writing side, and it was something that I didn’t know I was missing until I went back. I’m looking forward to doing more magazine work and growing as a designer. I hope your November has been as unusually colorful as mine. Congratulations! I love Flounce!! I did a quilt in similar colors and never actually quilted it. Your pattern makes me want to pull it out and finish it! I love those colors together so much – they make me happy every time. Congratulations! Flounce is beautiful! I love that you added a print in each row. Congratulations! The process is a long one and keeping a secret for quilts that are new and exciting is so hard. I love your return to writing and the satisfaction of being published. Your use of the prints adds texture. Such a lovely project! Congratulations Melanie! Flounce is beautiful and I can’t wait to go get the magazine and read all about it and get a pattern too! How cool! And what a fun quilt to have in a magazine, it’s very eye catching.